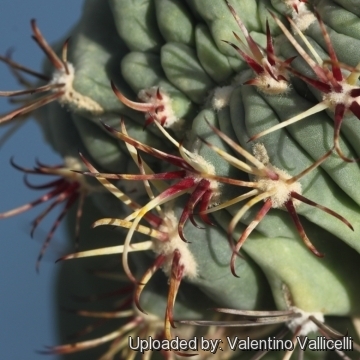 = Sclerocactus uncinatus subs. wrightii f. cristatus hort. 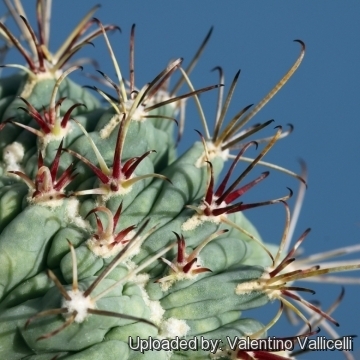 Description: The Glandulicactus wrightii f. cristatus is a nice crested form with fan-shaped branches. 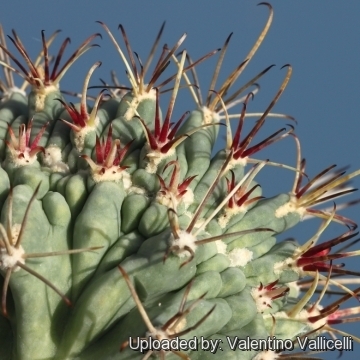 There exist also the standard species, not crested, which is a medium sized solitary cactus with long central hooked spines . Stem: Globose or short columnar glaucous green or greyish green in colour, up to 15 cm tall, and not more than 8 cm in diameter. Spines: New spines in young areoles are pink to reddish, later straw coloured to pale grey. Notes: The cause of cresting is not fully explained; biologists disagree as to why some plants grow in this unusual form. Some speculate that it is a genetic mutation. Others say it is the result of lightning strike or freeze damage, but whatever the stimulus, the growth point of the stem has switched from a geometric point, to a line, which folds and undulates as the crest expands. 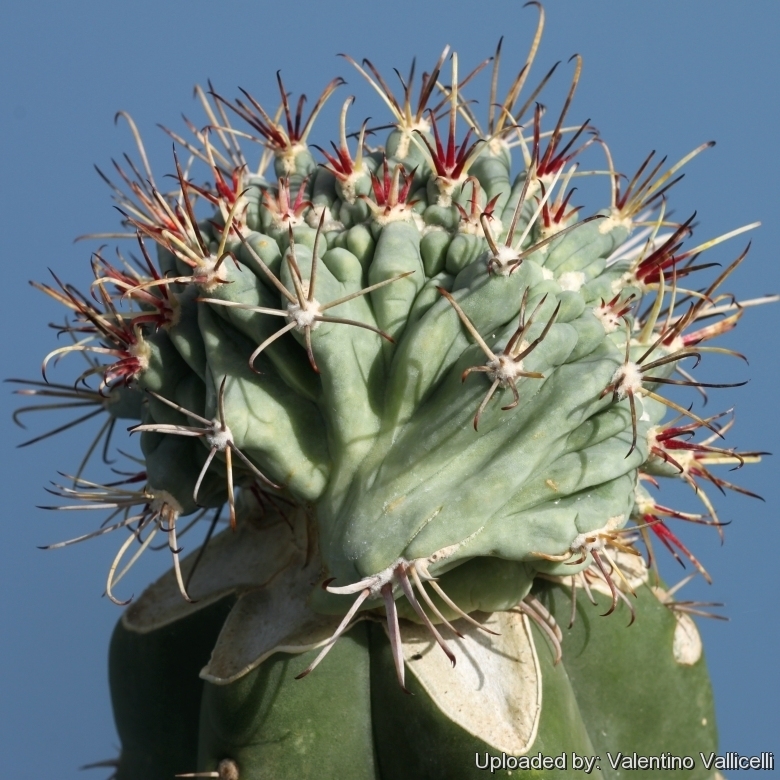 Though these crested are somewhat rare (1 in 250,000), cresting occurs naturally throughout the range of the this plant and can be encountered in many other cactus species.